Ni Wanhui and his wife Li Chan had just celebrated their eldest son’s 11th birthday in their hometown in Hebei, and were driving their truck on the long road west to Chongqing, Qinghai and Tibet. A journey of 3,800 kilometres one way. On 27 December 2018, the Qinghai police found their bodies on a notoriously dangerous section of the road to Tibet. The preliminary cause of death was acute hypoxia. The Wudaoliang section of the Tibetan highway is known to Chinese truckers as “life’s forbidden zone” (生命禁区). 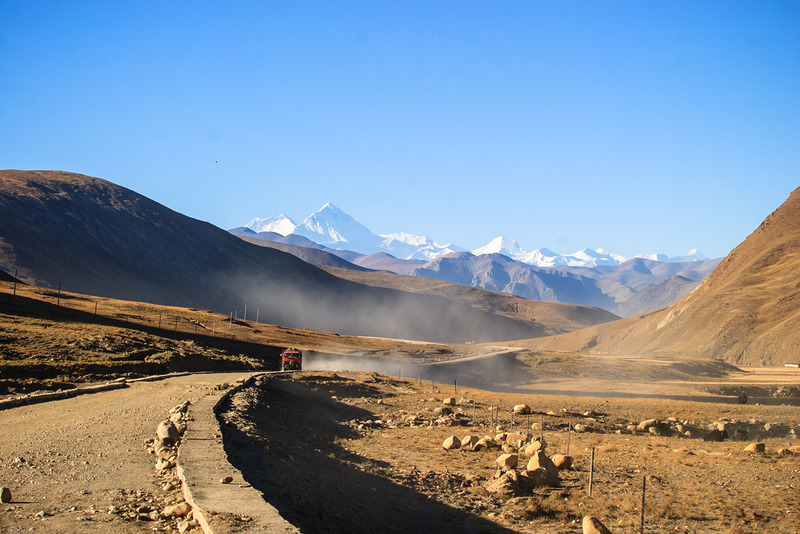 At an elevation of 4,600 metres, drivers are at serious risk of altitude sickness which causes headaches, fatigue, disorientation and loss of consciousness. For truck drivers, it is the only way into and out of Tibet. Prior to their tragic deaths, the couple had become minor social media celebrities on Kuaishou, a popular video sharing platform, with more than 214,000 followers and 300 videos documenting their lives on the road. Their deaths brought into sharp focus the appalling working conditions Chinese truck drivers have to endure on a daily basis. It’s a physically demanding, low yield and highly stressful job. And for drivers who have taken out a loan to buy their own truck, there is the additional pressure of repaying that loan as quickly as possible. This forces them to stay on the road for as long as possible. China’s estimated 30 million truck drivers travel about 100,000 kilometres on average each year, with some driving up to 400,000 kilometres a year. More than 14 million trucks deliver 76 percent of all China’s freight, according to official statistics, and that proportion has been steadily increasing over the last 20 years. Truckers delivered almost 40 billion tons of freight in 2017, double the volume in 2007. Transporting goods by truck in China is cheaper, faster and more flexible than by rail. The average price per ton of freight by rail is 0.2 yuan per kilometre compared to 0.19 yuan by road. The average speed of the freight railway network was 35.6 km/h in 2014 while the average speed of trucks was 60 km/h. In addition, “trucks allow for more flexibility in arrival and departure times and can make more direct door-to-door deliveries,” Zuo Dajie, an associate professor at Southwest Jiaotong University School of Transportation and Logistics, told Caixin. Because of loading restrictions and heavy daytime traffic in urban areas, truckers normally start work in the middle of the night, this also minimises the chances of arbitrary fines imposed by traffic police. Each work day can last 20 hours, and individual runs can last an entire month before drivers return home to take a rest. Rising costs and longer journeys due to increased demand have made trucker couples like Ni Wanhui and Li Chan an increasingly common sight in China. According to a Research Report on China’s Truck Drivers #2 published in December 2018, 36 percent of trucker couples go on runs together. The goal is to share costs, keep each other company and look after each other. For Ni and Li however, the job was just too dangerous, and their tragic deaths left behind two young orphans. 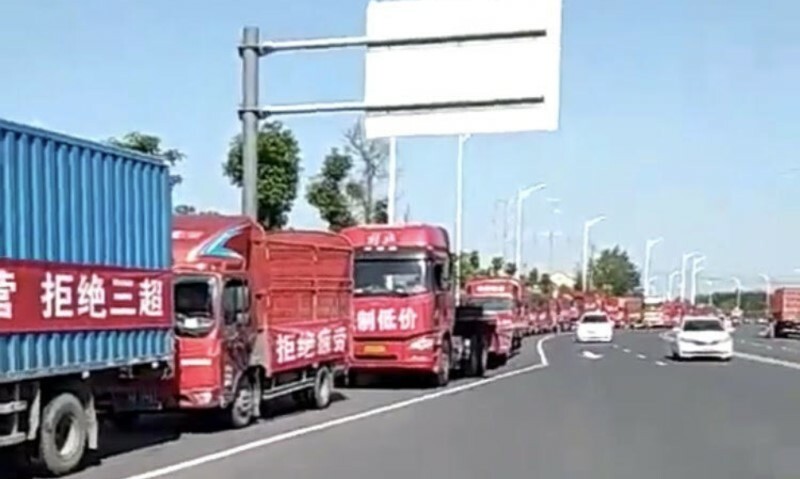 The All-China Federation of Trade Unions is well aware of the dire problems faced by truck drivers and in April 2018, launched a massive recruitment campaign in the logistics industry to better represent truckers. So far however, drivers have seen little benefit. Truckers have staged two nationwide strikes since the launch of the membership drive, one in June (photo above) and the second in November 2018, plus several more smaller local protests across the country. As we pointed out last year, the union has taken a good first step, but it is clear that simply recruiting new members without addressing the fundamental concerns of those members is not good enough.